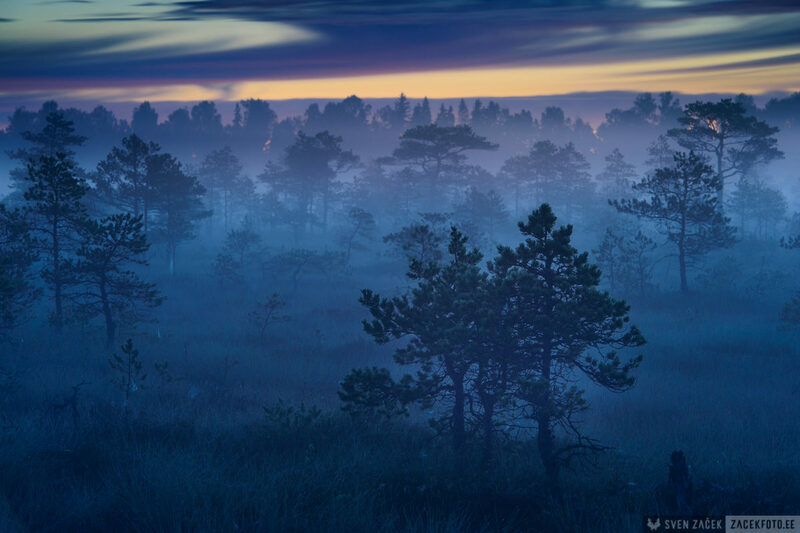 A cool night pulls a moist blanket of fog over a bogland. This mystical blanket consists of tiny droplets that move about in gentle wind. The first colours are already visible in the eastern sky, but the warming rays of the sun are still an hour and a half away.